Home » Health » What Is Entropion? Entropion is the growth of the lashes inward, which is towards the eyeball, due to folded eyelids. Entropion generally occurs in the lower eyelid. Symptoms include irritation, pain, and itching in the eyes. If you don't get proper treatment, entropion can pierce the eyeball, damage the cornea, and cause permanent blindness. Chemical injury, traffic accident, or surgery. Irritation due to dry eyes or inflammation. Genetic abnormalities that make eye development abnormal, such as the growth of excess folds on the eyelids. Ocular cicatricial pemphigoid , which is an autoimmune disease of the eye, which results in inflammation of the eye. Are You Know : What Is Croup? Patients can not feel these symptoms when entropion is still in its early stages. Even if there are, complaints only appear at certain times. If the eyelid has folded inward permanently, the symptoms will feel continuously. The folding of the eyelid inward is an easily visible sign. After observing the eye, the doctor will examine the factors that have the potential to cause entropion. The doctor will ask if the patient has had an accident or had an operation. Additional examinations are rarely done. Only in certain cases, additional tests are carried out in the form of tissue sampling of the eyelids for examination under a microscope. Entropion can be treated surgically or without surgery. The ophthalmologist will determine the appropriate treatment method, based on the cause. Treatment with surgery aims to restore the eyelid to its normal position. There are many types of operations that can be used to handle entropion. Different causes can be different types of operations performed. For example, if entropion is experienced as an effect of aging, then the surgery performed aims to tighten the eyelid muscles. This can be done by lifting the folded part of the eyelid slightly. Note that entropion handling operations will use anesthesia in the process. If you have a history of allergies to anesthesia, be sure to tell your doctor before surgery. Common side effects after surgery are swelling and bruising around the eyes. This complaint can be alleviated by compressing it using a soft cloth dampened in cold water. The doctor will teach you how to treat the patient after surgery. Handling without surgery is done only for the short term or if the patient's condition does not allow for surgery. The goal is to relieve symptoms and prevent damage to the eyes. Using soft contact lenses, to protect the cornea from lashes. Eye lubricants, in the form of ointments or drops that function to relieve discomfort. Botox injection. Botox will be injected into the eyelids to weaken certain muscles, so that the eyelids are not folded inward. Special plaster, which is attached to hold the eyelid so it doesn't fold inward. 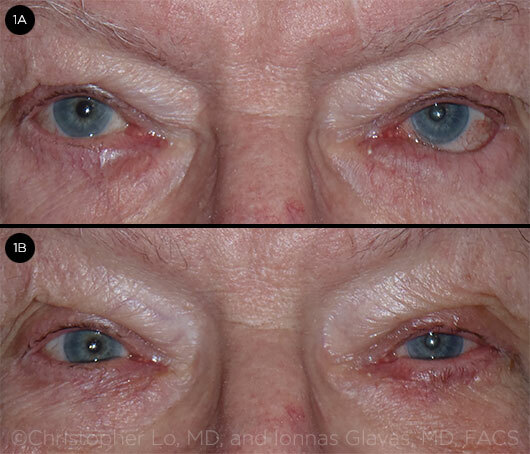 Weakening of the eyelid muscles due to aging is not a preventable thing. However, patients can still make efforts to avoid other things that can cause entropion, such as eye injuries. One way to prevent eye injuries is to use eye protection, especially when carrying out activities in a high-risk work environment to injure the eyes. Discuss further with your doctor about preventing entropion. The doctor will determine the prevention method according to the risk that the patient has. 0 Response to "What Is Entropion?"